Stomp, Shout, Rock n’ Roll! Stomp and Shout performers come to you with instruments - shakers, drums, bells, the works - and lead a 40 minute imaginative musical event! Our events are high energy and super engaging. 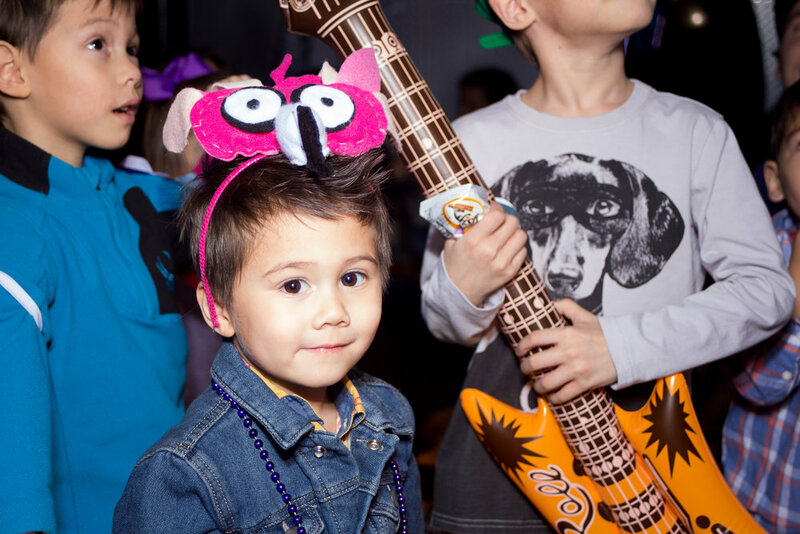 From dance parties, to jam sessions with our monster drums, to a special singing story time...each moment of the event is a one-of-a-kind imaginative-musical adventure! Stomp and Shout’s traveling theatre ensemble will show up ready to perform the original children’s musical, Snow White and The Missing Dwarfs! We’ll have costumes, small set pieces, props….the only thing missing are the DWARFS! That’s where the birthday kiddo and their friends come in. In this 45 minute musical, the kid’s will become actors in the show! Post-show autographs and a rousing Happy Birthday song complete this one-of-a-kind birthday experience. Stomp and Shout is proud to partner with Nick Connell Balloons for our events and parties. We know cool people — and these cats are COOL people. From balloon twisting to full scale balloon installations, they got you covered. Music + Balloons + Imagination = the most awesomest party of the century.